This is not an article for games that feature death. No no, this is for games that are far more sinister. This is for games that screw you over in much much more original and at times, cruel ways. It is one thing to die and restart your game from a checkpoint. It is another thing where you find your demise more meaningless. Therefore, many of these situations are “unwinnable” and some are just mean. Let us proceed further and perhaps you’ll understand what I mean. 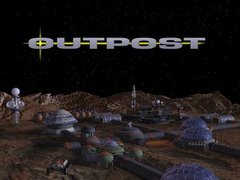 Outpost 1 (PC/Mac): In this game you build up a base on a new Earth. There is just one issue, getting there. Well, you know what, we are a high tech species, we know where planets, galaxies, and somewhat “ha-bi-ta-ble” planets are . To this end, you are granted the wise wisdom to select your galaxy in which to inhabit. You can launch probes and stuff to help make your decision, and heck, you can even let the AI recommend stuff. But, real men make decisions, not computers. So off you go to Wolf 359. I know you chose it because it is mentioned in Star Trek a couple times. So you go, and arrive. And you find there are not planets here except a burning hot sun. All you are given is a quit button. Let us assume you committed suicide in your spaceship. Kings Quest 5 (PC): You are a happy little king, gallivanting around the countryside, impressing the women and slightly homosexual shopkeepers. Just then you spy a shop for pies! YES! You go in and quickly buy one, eat it, and feel absolutely great. Later you see a rat getting chased by a cat. “Yeah cat, kill that rat!”. And so it does, and it carries the rat off in its mouth. You feel good about yourself. Then you wander around aimlessly forever. The game is now unbeatable. Wait, wait, hold on, lets reload from an earlier save game. So we save the rat, and proceed farther into the game. Okay good so far, and OMG Yeti! You click through your entire inventory only to find that none of your items work. The Yeti makes short work of you. If only you had a …pie to throw in his face. What is so horrible about this game? 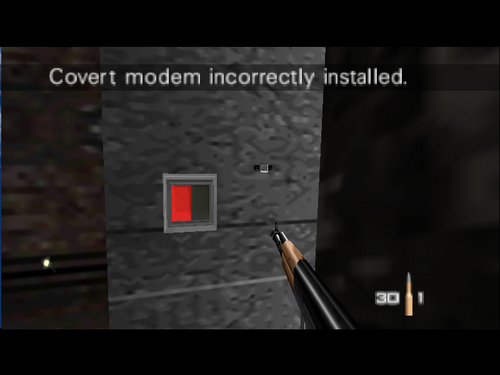 The same thing wrong with Perfect Dark. There is something quite nefarious about these two games that most people think is fine. So you are playing through a mission, everything is going fine, and then you have to plant a bug on something. Simple enough. You select it, you press Z to fire it like you would your gun, and it arcs, and misses what you needed to land it on… uhhh. 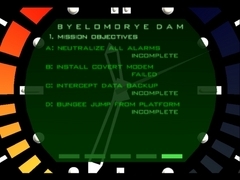 At this point the game says you failed the mission. You failed 007. You F.A.I.L.E.D. Why can’t you go pick it up again, and then just stick it on? What do you think this is, every other spawned weapon in the game? No, no no, Bond doesn’t repeat errors, and he certainly doesn’t make them. Go back to the start of the mission little man, you have failed big time. It doesn’t help that shooting the bugs when properly placed also ends the mission. A straw bullet from a lunatic could skim it and game over. Who goes on a top secret mission and doesn’t bring a replacement bug? Everybody knows that the evil doer is going to find it and crush it between his fingers anyway. It is good to bring more than one. Joanna Dark isn’t any more experienced in the manner. She also lobs these things. You’d think in the future they might make a gun for this, since hey, what if you need to aim at something way up high? Making it go in a mostly linear curve might help. The developers rub the failure in your face. 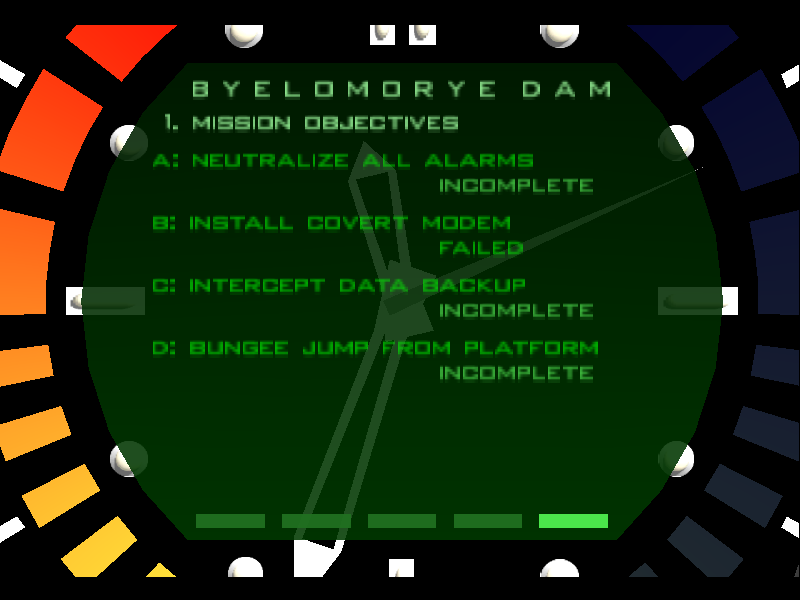 Not only does it flash mission failed on your screen (For Perfect Dark only), it lets you go about finishing the mission. Yes, you can kill many people and do the rest of your duties, but with that single mark on your scorecard, you are not longer elite, and will fail regardless of your actions from that time on. Good Job. Kings Quest II (PC): This game has the same issues has KQIV does, but in a different manner, it is less losing the item you need further down the line and more you used the wrong object dummy. This forum post words one scenario up nicely. Myth: The Fallen Lords (PC/Mac): You thought that unforgiving games are limited to ingame did you? No, the really cruel ones are those that get you outside of it. The original versions of this game had a dark secret. Let us say you get tired of the game (hard to believe, I know) and wish to reclaim some of that hard drive space for something else. Well, you installed it in the C: directory so you could get to it easily. Nice, nice. Well, if you uninstall it, you will have your hard drive erased. How’s that for a nice surprise? Worry not, the newer versions have fixed that error, but it is still a quaint reminder of how unforgiveable that situation is to the discoverer.